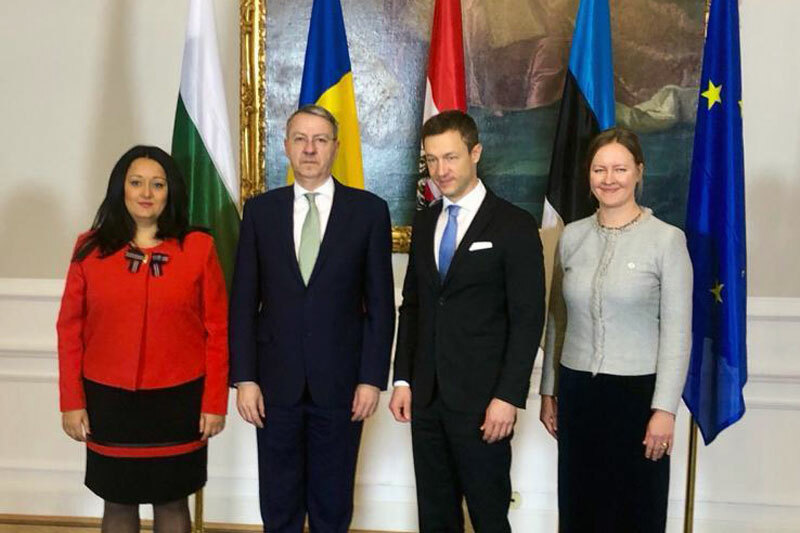 Minister Delegate for European Affairs George Ciamba attended the meeting of the Estonia-Bulgaria-Austria Presidents’ Trio in Vienna on Friday, November 23, 2018, together with Austrian counterpart Gernot Blümel, Federal Minister for the EU, Art, Culture and Media and Bulgarian counterpart Lilyana Pavlova, the minister for the preparation of the Bulgarian Presidency at the Council of the European Union. The meeting aimed at presenting the results of the current Trio’s work, as well as coordinating the Member States in order to ensure the transfer of the mandate to the Romania-Finland-Croatia Trio, which will be initiated by Romania’s taking over the rotating presidency of the EU Council, in the first semester of 2019. There has also been an exchange of views on the recent developments and perspectives of the themes on the current European agenda. In this context, Minister Delegate for European Affairs appreciated the efforts made by the 3 states over the 18 months to meet the priorities set by the Estonia-Bulgaria-Croatia Trio Work Program (July 2017-December 2018) and highlighted the need to ensure continuity of the EU Council’s work. He assured the European partners of Romania’s firm commitment to ensure a coherent transition between the 2 Trios of rotating Presidencies of the Council of the European Union. At the same time, the Romanian dignitary highlighted the importance of cohesion as the central theme of the Romanian Presidency at the EU Council from the perspective of 3 levels: political cohesion, illustrated by the need for unity between Member States, economic cohesion, in order to reduce development gaps between Member States and between regions, social cohesion, important in preserving the 4 freedoms of the Internal Market of the European Union.